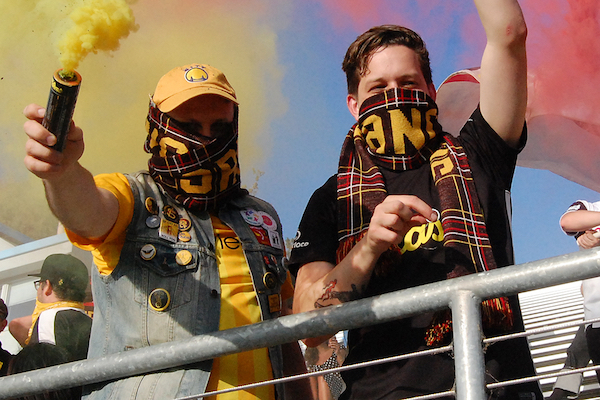 SF City fans, we all know football is best shared with friends, so we are now instituting our 2019 member referral program. 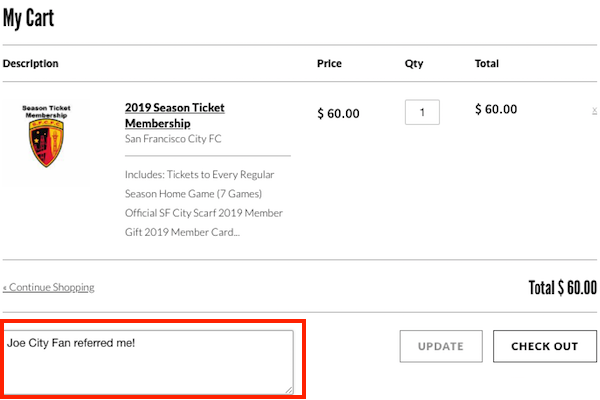 Convince a friend to become a member of SF City, and you will get a $10 SF City FC gift card emailed right to you! Here’s how it works: When your friend signs up to become a member, all they have to do is write your name in the ‘Notes’ field when they check out. Then, we send you your gift card. It’s that simple!